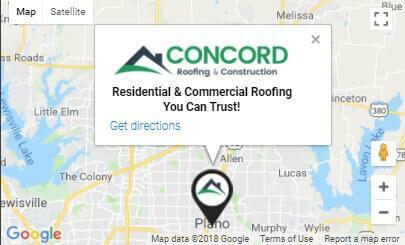 Concord Roofing & Construction prides itself on the recognition we have received from both our customers and the industry. Our Associations and Credentials represent the high level of integrity and commitment we hold as a core value of our organization. The NTRCA (North Texas Roofing Contractors Association) is the premier resource for roofing contractors and associates working and doing business in North Texas. NTRCA offers educational training opportunities, keeps its members informed on industry standards, promotes its members and advocates for consumers in North Texas. The association also offers award opportunities and several fun- filled events each year that allow members to network and learn from each other. The Roofing Contractors Association of Texas is a statewide trade association of roofing and waterproofing contractors. Have passed an installation workmanship inspection. In the roofing and insurance industries, the phrase “Haag Certified” carries a lot of weight. It indicates that you can effectively and efficiently inspect and assess damage. Your report conclusions have a deeper level of credibility: your Certification training could serve as the extra authority you need if you ever find yourself at odds with another’s findings. Ultimately, with the damage assessment techniques gained in your Certification course, you can increase your value as an inspector to your employer and to your clients. Being Certified could be the reason you get called on a job. Other inspectors lack the skills and knowledge you’ve gained by passing courses developed and taught by practicing forensic engineers.